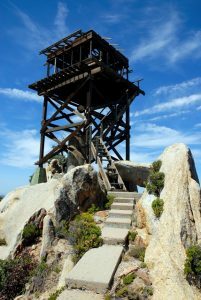 Hot Springs Mountain Fire Lookout is located on the Los Coyotes Indian Reservation in northeastern San Diego County near Warner Springs. Hot Springs Mountain is the highest peak in San Diego County at 6,533 feet. 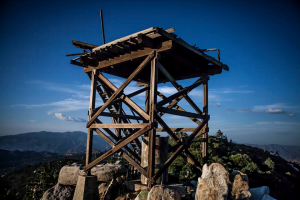 The Hot Springs Mountain site is the oldest of all towers in the Cleveland National Forest. 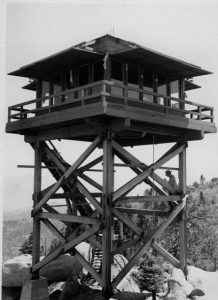 The original tower went into service in 1912. 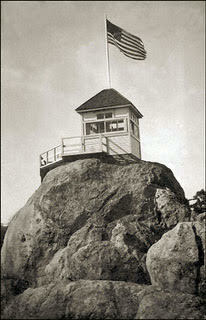 A second structure replaced the original in 1928. 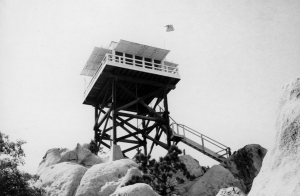 The current cab and tower were built in 1942. The tower and cab are a wood 14 x 14 C-3 design. The structure is very weathered and open to the elements. The glass and interior furnishings are gone, the roof has collapsed and the structure is about to fall.